When Toby Marlow was in his final year at Cambridge University, he had an idea... and it wouldn't go away. His collaborator Lucy Moss had her doubts but got involved anyway, and they both worked hard at it while studying for their finals. The idea? To stage a musical presented as a rock concert, featuring Henry 8th's six wives. The world premiere of Six took place at the Edinburgh Fringe festival during 2017, and instantly grabbed the attention of a number of producers. 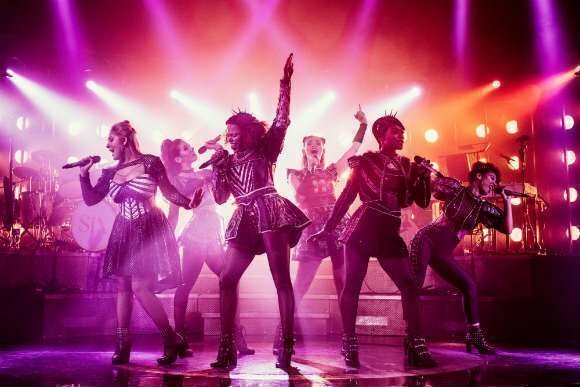 It returned to Edinburgh in 2018 before transferring to the Arts theatre in the West End, starring Jarneia Richard-Noel as Catherine Of Aragon, Millie O'Connell as Anne Boleyn, Natalie Paris as Jane Seymour, Alexia McIntosh as Anne of Cleves, Aimie Atkinson as Katherine Howard, Maiya Quansah-Breed as Catherine Parr, plus Grace Mouat as the Dance Captain. A successful UK tour followed the stint at the Arts, and now Six is back on the road once more, returning to the Arts theatre in early 2019 for a 16 week initial run. Not bad for a random, crazy idea hatched by a couple of students! This is being called ‘The most uplifting piece of new British musical theatre’ by the Evening Standard, and no wonder when everyone and his dog seem to be losing their head over it, pun intended! The musical has been widely, enthusiastically acclaimed right across the nation, and the sound track has already hit the music charts running. What can you expect? You'll see a bunch of Tudor Queens transformed into Pop Music Princesses as they tell their stories in song. Together they blend five centuries of heartbreak into a bold celebration of girl power in the 21st century. This is history.... remixed. You'll rock the rafters with a host of splendid show tunes: Ex-Wives, No Way, Don't Lose Your Head, Heart of Stone, Haus of Holbein, Get Down, All You Wanna Do, I Don't Need Your Love and of course the title tune, Six itself. Each queen has her say five hundred years down the line, and every one of them is strong and feisty. The costumes are extraordinary, a triumph of wonderful weirdness complete with Tudor ruffs. The tunes are spectacular. And the ladies themselves will knock your socks off with their sassy comeback to the murderous, bullying, bloated Henry. This show is recommended for people aged 12 plus. 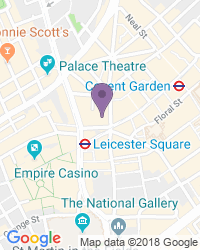 Visiting London, we chose this show looking for something different. It exceeded our expectations. Our family of five found the plot engaging and the music excellent. The varied types of songs combined with outstanding vocal skills made it top notch. Would see it again and highly recommend. Music, costumes and all girls were absolutely amazing! A must see! 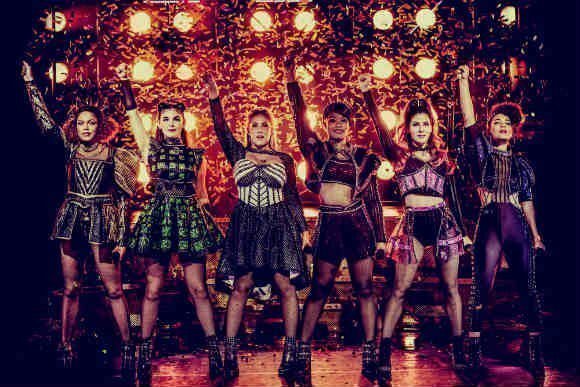 The Six are the best pop concer you’ll go to this year, badass, fierce but ultimately empowering this was the version of the tutors we should have been taught at school! Was a brilliant show, lots of talent. The songs were great you just wanted to get up and dance and the actors were amazing! A quick burst of fun loving energy. Super informative and you can’t help but want to get up and dance along with them! The energy was incredible. What a fun night out. This week marks International Woman’s Day and there was no better way to celebrate it than watching six of history’s most famous wives reclaiming their stories live on stage. 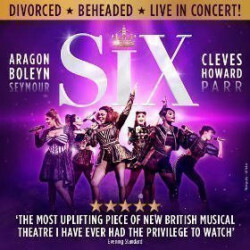 SIX is a new musical written by Toby Marlow and Lucy Moss. It started life at the 2017 Edinburgh Fringe and, as word spread, it wasn’t long before a London transfer. 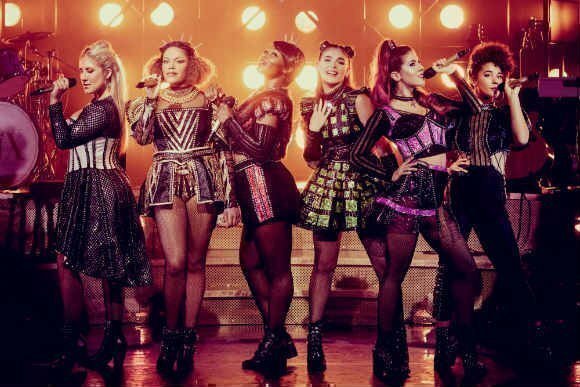 First, new musical SIX took the Edinburgh Festival and the West End by storm, now we hear tracks from the studio cast recording have hit 40,000 streams a day, reaching over 3.5 million in total. 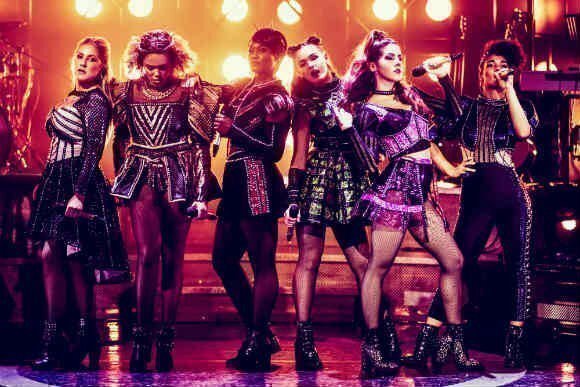 If you haven’t seen it yet, and I must confess, I haven’t, the producers describe it as “a concert-style show with a phenomenal all-female band”. Use the search box at the top left of this page to search for SIX tickets availability.